A well-respected attorney and family advocate, Jill serves as co-partner-in-charge of the Cleveland office and as chair of Taft’s Domestic Relations practice. 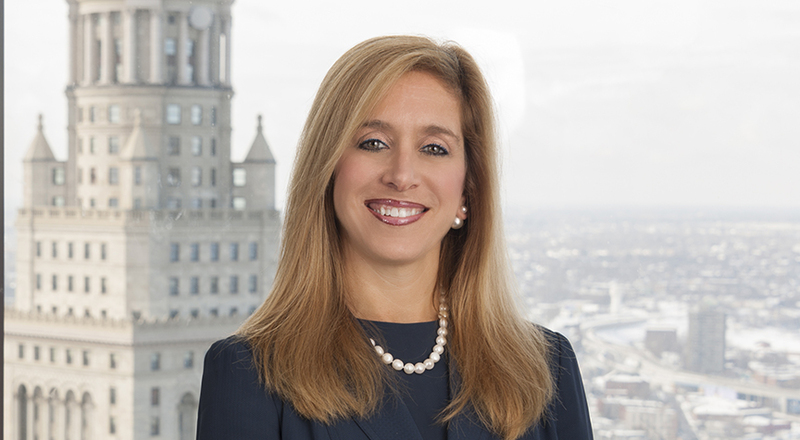 Her practice focuses on family and divorce law, particularly in high net worth cases. Jill is certified by The Ohio State Bar Association Family Law Specialty Board as a specialist in the field of Family Law in Ohio and as an arbitrator through the AAML Matrimonial Arbitration Training Institute. With extensive experience and a confident, patient approach, Jill consistently earns the respect of her clients and peers. Her experience ranges from analysis and litigation of complex business valuation issues to property division, support and difficult custody matters. A trusted advisor to high-profile clients, Jill provides regular legal counsel to business owners, professional athletes, physicians, lawyers and other prominent professionals. Jill is a fellow of the prestigious American Academy of Matrimonial Lawyers and is a former president of the Ohio Chapter. She further serves the greater Cleveland community in a number of volunteer positions, including acting as chair of the leadership board for the University Hospitals Partnership for Families and as a board member of Park Synagogue. Jill graduated from the University of Michigan and received her law degree from Case Western Reserve University School of Law.